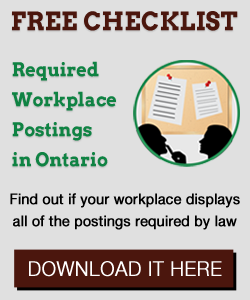 The Ontario Superior Court of Justice decided that an employer terminated a 65-year-old long-term employee without the proper amount of notice or severance. As a result, the employer had to pay hefty damages, interest and costs awards. The Ontario Labour Relations Board confirmed that an employee was not entitled to any wages for a number of sick days she was absent from work. In addition, she was not entitled to notice of termination as it was determined she engaged in wilful misconduct. Managing Editor at First Reference Inc.
What you should know about the Ontario Employment Standards Act Slaw: Could cellphone use constitute electronic presence at crime?